The art of a hand cleaned window is not lost. Hand cleaning may seem so old-fashioned, but it’s the best way to get a window cleaned to perfection. 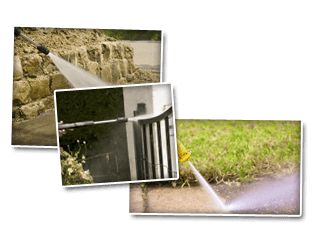 Cavalier Window Cleaning & Power Washing offers professional cleaning service for your windows. Store-bought window sprays only do more harm than good leaving behind smudges that are next to impossible to remove. Our expert window cleaners can have your windows so effectively cleaned that you’ll wonder if they’re open or closed. Besides being a danger to your windows, household cleaning sprays are harmful to your health. Manufacturers put harmful toxins in them that help dissolve dirt and grime but do not protect your health. They are considered to be poisons and should never be ingested or inhaled. Sometimes the reason for dirty windows is how homeowners clean them. Many do not realize that there is an art to it. Smudges can be left behind when not cleaned properly. Cavalier Window Cleaning & Power Washing is the solution to your dull and dirty windows in Charlottesville. 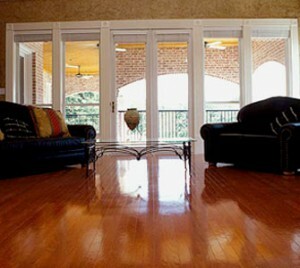 We come equipped to take care of your residential needs. In order to get your widows cleaned to your liking, we use squeegees along with a safe and effective solution. Your windows will be wiped clean getting rid of years of dirt and smudges. It’s important that after the initial cleaning you have your windows cleaned on the interior and exterior at least once a month. Weather is responsible for kicking up dirt and dust which can leave layers of film on them. If you’re reading this you already made the right choice. There are many advantages of having clean windows. When you hire us for the job your windows will be cleaned to perfection. Whether you have a home or business that is in need of a window cleaning, you’ll want your windows to look their best at all times. Appearance is everything, especially for a business. Dirty windows gives customers the impression that the merchandise has been sitting around for a long period of time as well. If you’re in the market to sell your home privately, then a window cleaning from the professionals at Cavalier Window Cleaning & Power Washing would certainly help sell it a lot faster. They say that the windows are the way to the soul of a home, so why keep them dirty? There is a lot that hand-cleaned windows offer as far as value and aesthetics go. Call to schedule yours today! If you are looking for Hand Cleaned Windows then please call 434-823-1737 or 540-910-1434 or complete our online request form.